Tech Radar has published an in-depth review of Tesco's latest budget (£129) tablet. "This is an accessible device with an HD display, solid build quality, and almost unadulterated Android 4.4 KitKat." "The screen resolution is 1920 x 1200 pixels. Colours are rich and vibrant, text is sharp and easy to read, and you can happily watch movies, game, or read on it for hours." "The Hudl 2 measures 224 x 128 x 9mm. and weighs 410g. It feels nicely balanced and it's satisfyingly slim. The soft touch coating on the back wraps around the sides adding grip and making it very comfortable to hold." "The Hudl 2 feels surprisingly premium and it looks good too. I had the black model for review, but you can add some colour if you prefer as it's available in blue, turquoise, orange, pink, purple, red, or white." "After fully charging the Hudl 2, I surfed the web for a couple of hours, played Clash of Clans for ten minutes, watched two movies, and then the kids watched an episode of Spongebob. By the end of that it was dropping down to the 10 percent mark. Not too impressive." "If you're shopping for a family tablet that you can share with the kids, this is it. If you want to gift a tablet to someone who has never tried one before, this is it. 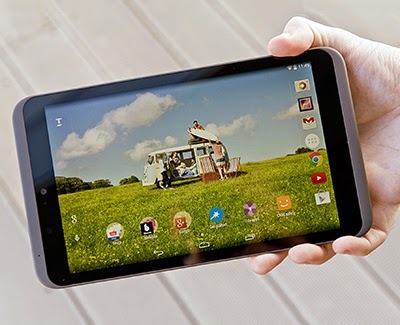 If you want a cheap tablet for casual use around the house, this is it."